Manage your deposits effectively with this general Deposit Form Template. 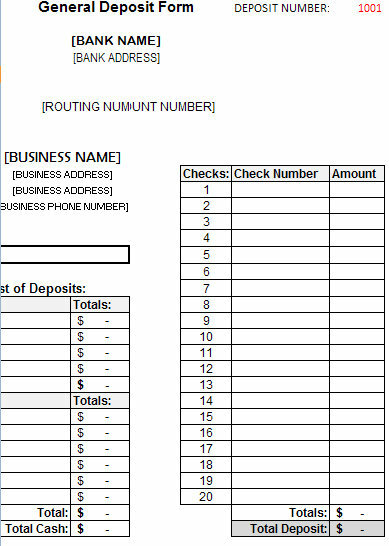 This form contains space for a detailed deposit, account information, routing information, etc. 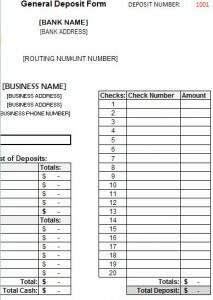 Download this Excel Deposit Form Template for free right here!